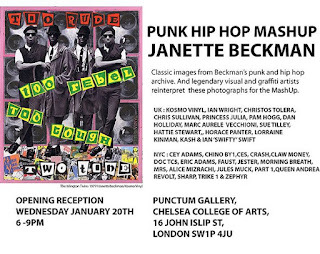 I just found out about this exhibition of Janette Beckman's punk and hip hop photography that's been given the Mash Up treatment by artists including Pam Hogg, Princess Julia, Ian Wright, Horace Panter, Christos Tolera, Dan Holliday, Hattie Stewart, Cey Adams, Marco Aurele Vecchione, Chris Sullivan, Ian Swift, Kosmo Vinyl, Khashayar Naimana, Lorraine Kinman, Sue Tilley, and more. The London leg of this exhibition follows successful Mash Up exhibitions in New York, Iceland and Paris last year. 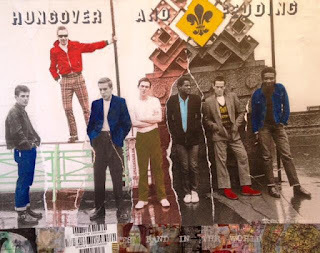 Janette captures the energy and character of both these great musical counter cultures, and now in collaboration with a range of artists has created her new Mash Up Art series, many commissioned just for this show. 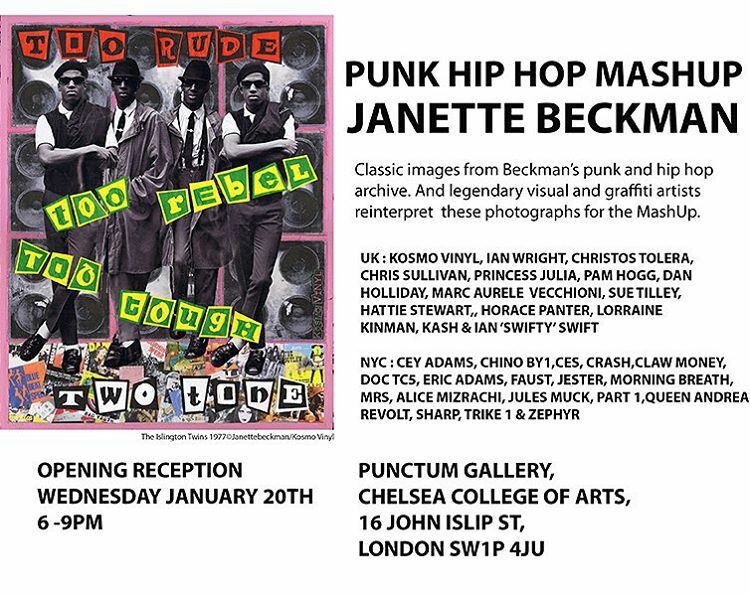 For those unfamiliar with the name, Londoner Janette Beckman began her career at the dawn of punk rock working for 'The Face' and 'Melody Maker.' 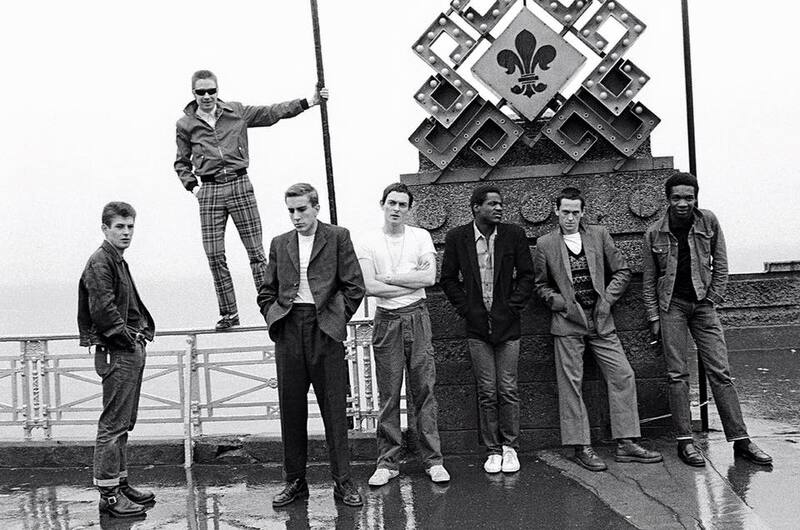 She shot bands from The Clash to Boy George as well as three Police album covers. After this she moved to New York and was drawn to the underground Hip Hop scene. 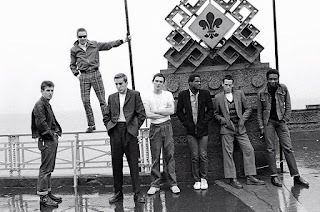 where she took photographs of pioneers such as Run DMC, Slick Rick, Salt 'n' Pepa, Grandmaster Flash and Big Daddy Kane. Admittedly for a long time I didn't have a name to put to the photos I grew up loving of my favourite artists like The Beastie Boys, in particular the black and white street shots. Only in recent years have I been able to differentiate between hers and the analogous work of say Ricky Powell and Glen E. Friedman. I recently reached out to Janette asking about a location of a shot she took of Shane MacGowen. She very graciously replied with her best recollection (it was China Town, Soho) and in hindsight asking the location of just one of countless iconic shots spanning some thirty plus years now seems a bit daft on my part. Last night was the official launch and the exhibition runs until the 30th. Open 11am to 7pm Monday-Friday, 11am to 4pm Saturday and shut Sunday. For more details visit the Facebook event page HERE. Entrance is free, and another private viewing is being held on the 28th from 6-9PM which i hope to attend. A range of small and large prints will be for sale starting at £140. A great example is this Horace Panter Mash Up of Janette's picture of him with the Specials below.